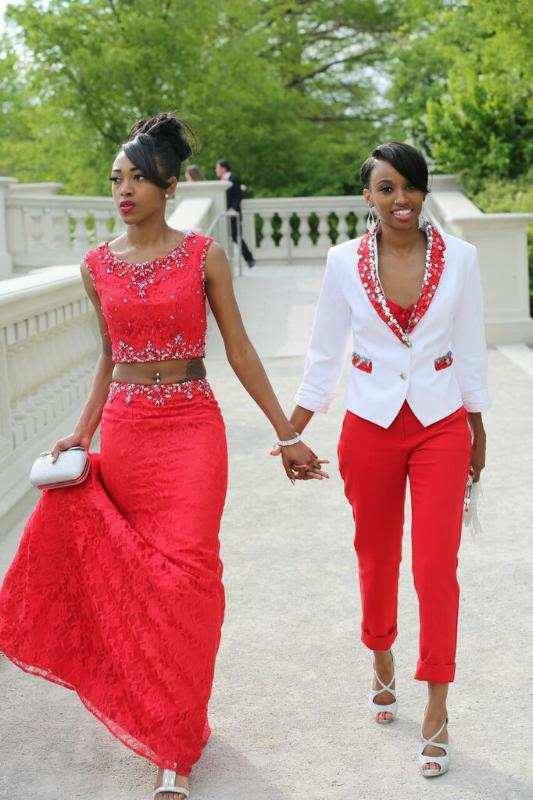 Lesbian's Prom Picture Goes Viral - They Look Amazing! Last night we stumbled across quite a pic that we thought you all may enjoy seeing. It’s refreshing to see these young women be out and proud and have the freedom to express their love openly. The caption read: What you see here is not your TYPICAL prom couple, its my baby girl Kelsi and her "special friend" this was so heartbreaking and extremely hard for me to accept when it was revealed to me, this is not a promotion if homosexuality by any means but a gesture of love expressing to her that although I don't understand nor agree with your choice, I will love and support whatever you choose in this life as long as it doesn't hurt you or anyone else I will never risk losing my relationship with you over a personal choice...Now, before you judges pull out your scriptures and cast them into wherever it should be obvious and apparent they don't believe as you do,so before you throw your stone be sure to aim them in the right direction homosexuality clearly is not the only SIN!!! Happy prom to everyone who attended this year!